Underground areas of Vesterbro booming artistically, new culinary scene, inventive multi-brand boutiques … the capital of Denmark is thriving. Internationally renowned for the multiple achievements and work of Arne Jacobsen crisscrossing the city, it is more than just a “city museum” dedicated to the design master. But it is by tapping into the history of the artistic and architectural heritage that it renews itself, grows, develops and reflects more and more the bridge created between the different generations. Nickname: Købmandshavn “the trade harbor”. Specialties: bicycles, the Little Mermaid, the “hygge” (the glow of candles through windows). 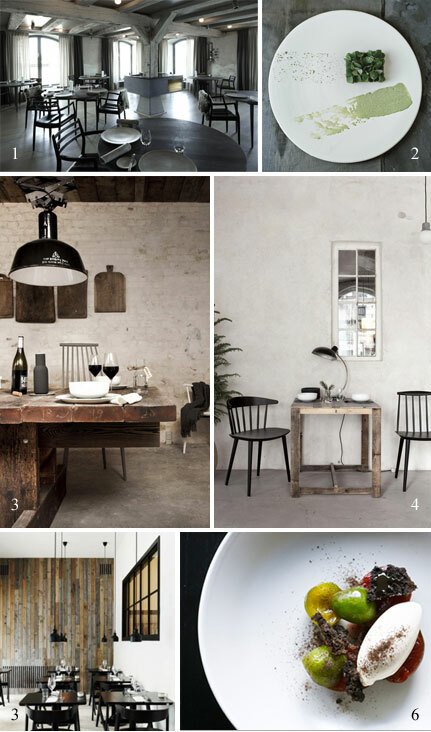 The chef René Redzepi and the entrepreneur Claus Meyer have shared the challenge of transforming the Copenhagen restaurant scene into something as crazy as it is inventive while preserving their local values. 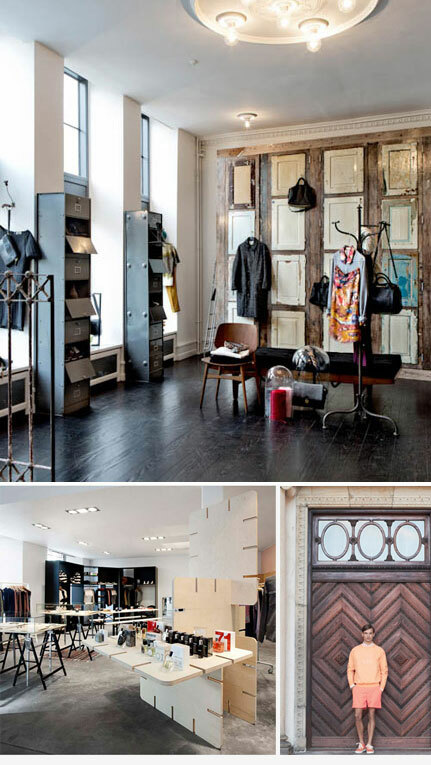 It is in the city center that boutiques include the most prominent designers of the moment. “Vesterbro” is the most underground neighborhood of the city with its old refurbished slaughterhouse. The place is full of galleries, restaurants and shops and a new concept is revealed behind each door. Smaller and cosier Paté Paté develops more Mediterranean inspirations with a dazzling Spanish accented cuisine, alongside by a beautiful wine cellar for the connoisseurs. (Slagterboderne 1 – www.patepate.dk). And for a coffee break, Granola offers pancakes or cupcakes in a revisited bistro style. (Værnedamsvej 5). Just next door, Blomsterkuret, the most beautiful flower shop of the city, offers a romantic touch in its mini house with a variety of flowers and cherry branches. 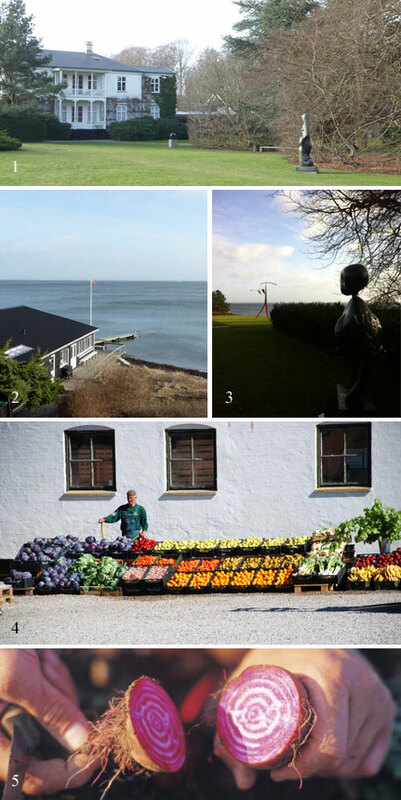 Thirty minutes from downtown by train, the Danish coast houses some a real gems. Facing the sea, the Louisiana Museum of Modern Art is a true masterpiece that contains a permanent collection to rival many. Here you will find Danish artists from after 1945 alongside Picasso, Giacometti, Dubuffet, Yves Klein, Andy Warhol, Rauschenberg, Henry Moore, and Louise Bourgeois. The park is scattered with sculptures by Calder, César, Laurens, Shapiro, and Sekine. And at the moment, the “Pop Art Design” exhibition is showing the correlation between art and design of that era and their post-70s influence until June 9th. At the end of the day, strolling along the sea at sunset is a must. 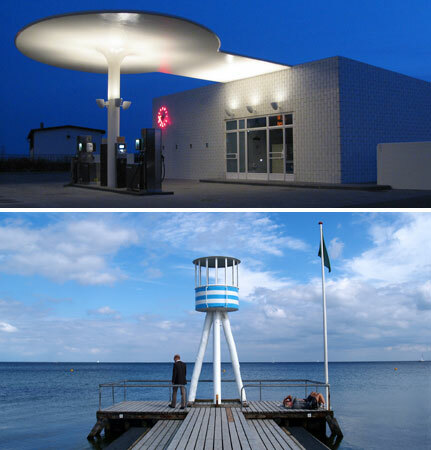 The view is wonderful from the Louisiana Museum or from one of the pontoons on the seafront (www.louisiana.dk). Five minutes away, the largest organic farm in Denmark is spreading its garden. More than 40 farmers cultivate about 700 varieties of fruits and vegetables. A basket is made with varieties of the seasons, delivered door to door with original recipe proposals in a wooden crate or sold on the market once a week. An innovative way to develop new interactions between farmers and cooks and strengthen their relationships. See the selection of Plume Voyage on the «100% Nordic Travelers Objects». HAY, the Swedish leader welcomes its guests into a two-floor boutique apartment. A magical place that looks less like a showroom than a well designed home. A child’s corner, bed linen with neon colors, unique wooden pieves but also a wide range of stationery and furniture with clean lines and pastel colors are beautifully presented in this unusual place. (Pilestræde 29 – www.hay.dk). Illums Bolinghus remains a must for enthusiasts of furniture and decorative objects. 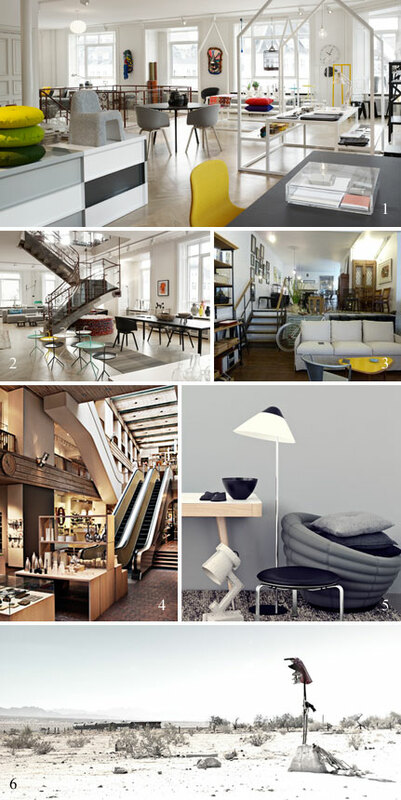 The best designer brands are grouped on four floors to represent all kinds of homes. And displayed at the moment, the photo exhibition of Claudia Munkoboe represented by DASK gallery – (10 Amagertorv – www.illumsbolighus.dk). 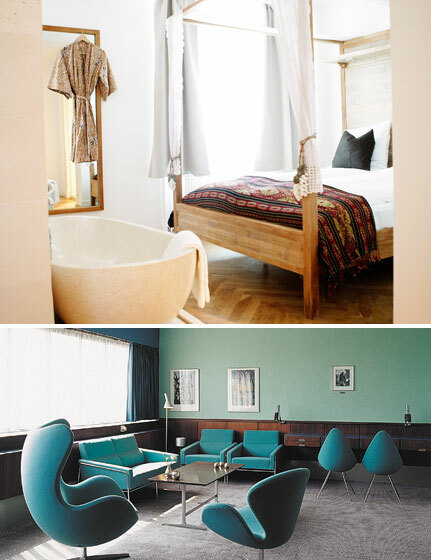 Connoisseurs will sleep in the room 606 SAS of the Royal Hotel, designed by Arne Jacobsen and preserved in the same state, with the Egg and Swan armchairs designed by the designer. A real dive into the 60s and the world of the famous designer (Hammerichsgade 1). At the exit of the city, on Oresund road, the impressive station designed by the architect and built in 1937 is still in service. The very modern curved lines are the testament of the master of avant-garde design.